Cycling on Makarska Rivijera- town Makarska are perfect conected with all places on Makarska Riviera. 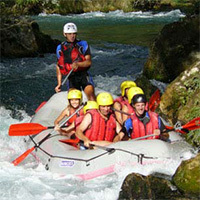 Enjoying in nature and clean sea you can visit lot of places and experience dalmatian living culture. Trough park Osejava you have very nice cycling tracks, if you drive in this way you can visit places Tučepi and Podgora. If you drive trough Makarska promenade on west you can drive all to the Vruja on entrance of Makarska Rivijera. Walking on Makarska Rivijera- From Makarska port you can walk on south side trough park Osejava and enjoy in woods, sea and view on Dalmatian islands. On west side trough Makarska promenade you walking all the time close to the sea, enjoying in beaches, forest and nice little dalmatian places on your way. You can walk all to the Vruja on entrance of Makarska Rivijera. Skiing - just two hours by car from Makarska in Bosnia and Hercegovina is litle ski resort called "Adria ski" in town Kupres. It is favorit ski resort for whole Dalmatian people. For lower then 30 euro you can rent a ski and buy ski pass. This is perfect solution how make your winter holidays in Makarska more attractiv (from middle of November to end of February). 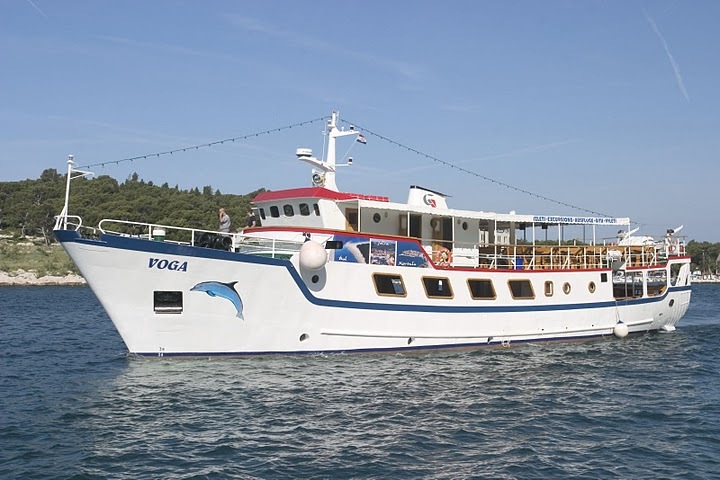 A scenic half day trip to the countryside of Dalmatia. Explore one of the most beautiful little towns in Dalmatian Hinterland. 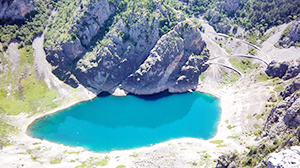 Discover the beauty of natural phenomena, Red and Blue Lake and the old part of Imotski. 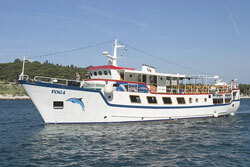 You are looking for accommodation in Makarska Riviera ? You are tired of searching for adequate apartment? Don't worry! Contact us through contact form below and Makarska-Online.Net team will send you best offers for accommodation that suit your needs.